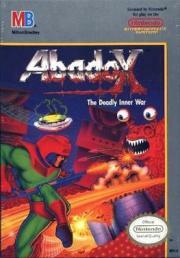 A decent NES shooter largely inspired by Salamander/Life Force. The "adventure through a giant cavern of guts" theme is in full force. A pretty standard-issue NES shmup with a fascinatingly gory twist in the visuals.